CAR DEALERSHIP. If you are willing to take a car leasing from someone who is leaving it before contract time ends, you could get a really good monthly deal on a like-new car. You can find really good deals and really good dirt cheap used cars in numerous ways if you are patient and willing to dedicate some time to check and try some of the 10 resources we are going to list below. Government car auctions are auctions of surplus and seized vehicles conducted by the states, the local police and also, federal government institutions. Cars auctioned in this way, are commonly vehicles confiscated especially from law-breakers. At these auctions, you can find real bargains on like-new cars, luxury models as well as regular cars in pretty good condition. Believe it or not, every day people abandon their cars at the most unbelievable locations and never pick them up again. An industry has been built upon picking up abandoned vehicles. After searching for the owners and not being successful in finding them, these cars are auctioned. Last but not least, you can look for repossessed car auctions in your city or state. These are cars that Banks or Credit Companies repossess from customers who stop doing the payments, for whatever reasons, on their loans. These vehicles are sold at auctions to recover the remaining balance of these loans. Auctions are probably the best sources to find cheap like-new and used cars. Both, new and pre-owned cars, can be leased. For many people this is an excellent option to get a nice car with cheaper payments, no matter which make and model they prefer. This way to drive your own car is particularly targeted to people who want to get low monthly payments, due to the fact that leasing a new car can be from 30% to 60% less expensive than buying the same vehicle with loan financing. Leasing a used car is even less expensive than leasing a new one. Another great source to find a like-new car at cheap payments is leasing takeover. This option occurs when the seller wants to get out of the leasing contract, for example, because this person is short of cash or simply can't afford to continue paying the leasing for whatever reason. Most dealerships are in urgent need for money and you can re-lease a car for a ridiculously low cost with this option. Also, for leasing takeover, there is a established industry. There are companies that specialize in car leasing takeover, both off-line and online, like for example wapalease.com or leasetrader.com, which are one of the best online companies. Another great thing with leasing takeover or lease assumption, is that most vehicles offered are new ones. Yes, you read it correctly. There are free car programs offered by advertising companies all over the country, especially in large cities. They use a marketing method called, "vehicle wrap" that makes it possible. Be aware, it's hard to qualify for this, but a free car is the cheapest car you can actually get, so don't give up if you are not approved immediately. There are also several companies out there which pay people to drive a car with their logo on it. What this means? you can virtually get a car for free. "Get-Paid-To-Drive" programs are not very different from the already described "get-a-free-car" program. The only difference is that you must drive your car with advertising displayed on it. The money paid to you is for the advertising you are doing for the company. This money can help you to pay your vehicle expenses like car loan, gas, insurance and maintenance, which means you can get a very cheap or even free car. Like free-car programs, it's hard to qualify for get-paid-to-drive programs. Each month salvage, wrecked or flood damaged cars are sold at auctions all over the country, which are another great source for dirt cheap cars. For these vehicles, however, some repairs will have to be done in most cases, which means, you will need to buy and pay for parts and mechanics, in case you are not able or trained to fix the car by yourself. You can get wrecked or totally damaged cars for almost nothing or a few dollars, and an added incentive is that, many of them have only minor damages. If you have repair skills you can restore a car to excellent running condition for virtually nothing. Purchasing auto parts online is a simple yet cost-efficient way of trading. You only have to click on the car part you want and after a couple of days you will have it delivered at your door, and you release yourself from the frustration of driving from store to store without finding the part you are searching for. Prices online are often lower than in an auto parts stores. If you are a do-it-yourself person or know someone with car repair skills, you can go online and with a click of the mouse, you will have access to step by step repair manuals for any make and model, for a decent price. If you're planning to purchase vehicles like these, you will need sufficient skills to know what you are buying and if you don't have this knowledge, it is recommended that you go along with an automotive skilled person to inspect the vehicle before you buy it at auto auctions. Vehicle rental companies such as Budget, Enterprise and Avis for example, are selling rental cars regularly. This can be a great option since prices in many cases, are lower than at a used car dealership. You can contact car rental companies for further information. You can of course buy your car from an individual found in a local newspaper’s classifieds or online on web sites such like Craigslist, AutoTrader or even eBay. Be aware that when car owners are selling directly, one of the reasons might be that their cars have some issues that they are not disclosing. Always use a skilled person to inspect the car before you buy it. If you're contemplating on buying a vehicle advertised on eBay, Craigslists or some site for free classified ads, it is highly recommended that you approach this with caution, especially if the advertisement of a decent car is at a price that appears to be unreasonably low or too good to be true. In the worst case scenario, you will end up paying for a vehicle that you'll never see. The best advice is, don't transfer or give money to anyone without inspect and test the vehicle first by yourself. 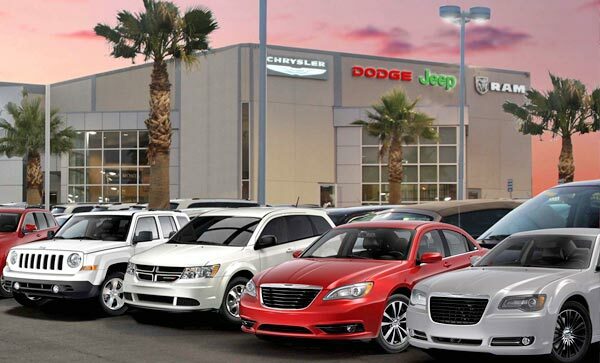 Today there are new and used car dealerships sprouting up almost everywhere you turn. There are dealerships specialized in used cars and most of them offer car financing or 90-days-same-as-cash programs. In some cases, it is recommended buying in national used car dealerships such as Carmax Superstore and others. If a car dealership is an option for you, a natural place to start looking for a new or used car would be at your local dealer. Be aware though, that not all dealerships offer decent prices. Another issue is if the vehicle has any problems that haven't been uncovered either because the dealer isn't aware of it (but they should) or in worst cases, they are trying to cheat you. Therefore, it is important that the seller offers a warranty or has a fair return policy. This should be contracted and signed before the purchase takes place. The price of a used car offer should always be compared with the car value as it appears in vehicle value lists, such as Kelly's Bluebook, AutoTrader, TrueCar and similar listings. Also be aware that, when the car dealership offers car financing, interest rates are higher than the market price. Online car financing in most cases, is the cheapest way to finance your vehicle purchase. If you have bad credit, there are many companies that can still finance your vehicle purchase but be prepared for higher interest rates and stricter terms. If you go for a new car purchase there are loads of huge rebates and similar incentives offered by manufacturers from all over the country. Using this way is another great source of dirt cheap cars. As mentioned before, no matter where you purchase your car, you should get it inspected by someone qualified before you take any dollar from your pocket or you sign any contract or paper. If you don't have the necessary skills or you know someone who has, you can contact your local vehicle inspection service and set up an appointment for proper inspection for a minor amount. A CARFAX Vehicle History Report is another safety element you should seriously consider. It's not fun to buy a damaged car that is more damaged than advertised.